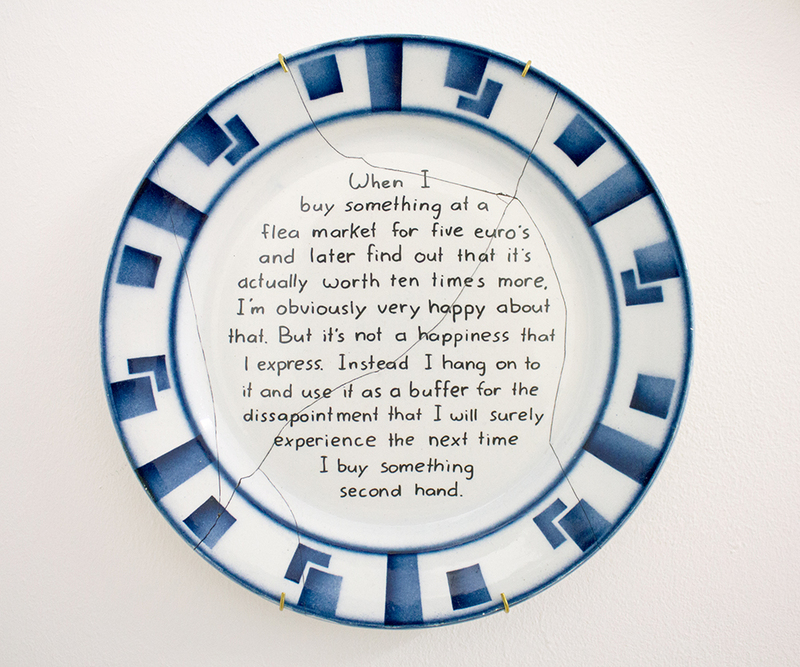 In this sculptural work Beckers has written six things he believes in on six ceramic plates. Thereby referencing an old Dutch tradition of putting proverbs and biblical texts on tiles and plates. Beckers' beliefs however are actually more aphorisms, which all contain an absurd logic or a paradoxical truth about everyday and mundane subjects like losing a wallet or buying something at a flea market. All the plates in Things I once believed in... show clear signs of rudimentary repairs. 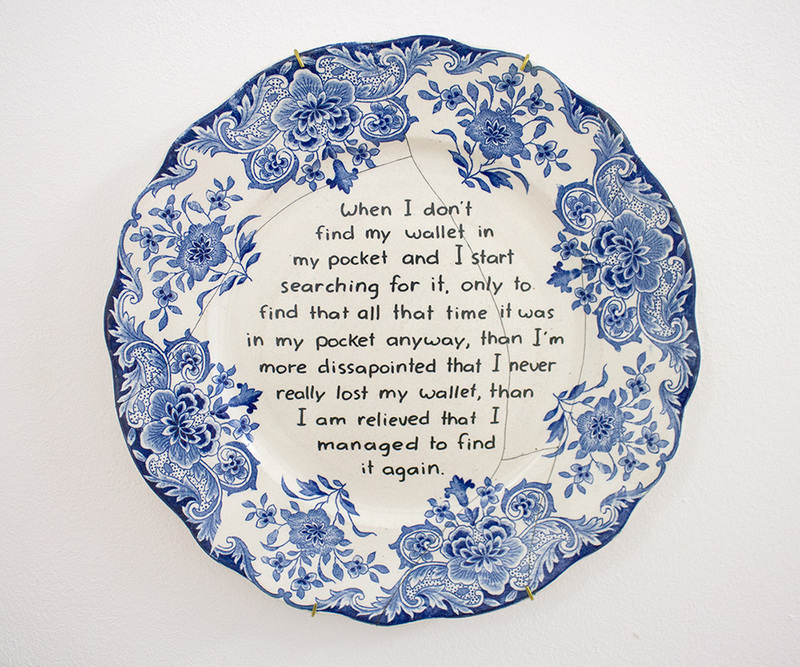 By producing, breaking and repairing the plates Beckers displays the changeability of his absurd beliefs.